You may think that a tanning lotion is not necessary when using a tanning bed, but just as if you were tanning outdoors, it all comes down to keeping your skin protected and what kind of results you want to achieve. And we may be safe to assume that you want the best tanning results possible, right? Yes. So, this is how tanning lotions work: indoor tanning and natural UV exposure can cause skin dehydration if no products are used. Professional tanning lotions like the ones available at all four Soleil Tans locations in New Jersey, contain specific ingredients that promote tanning and melanin synthesis. They are bio-engineered to topically provide vitamins and skin care ingredients that may have depleted during tanning. 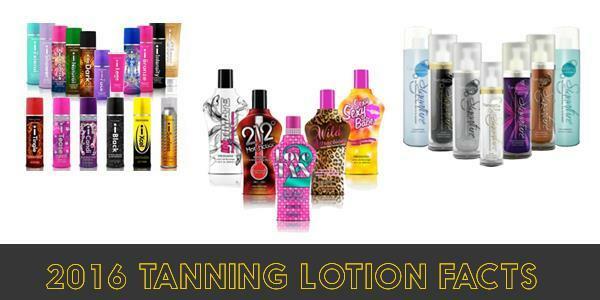 This way, tanning lotions help replenish the moisture lost during the tanning session and help improve your results. You’ll get a darker and quicker tan, and it will last longer too! Just remember, always choose a professional tanning lotion instead of commercial over-the-counter lotions, as those don’t have the same effectiveness and necessary ingredients to maximize your tanning results and extend its life. Next time you come to Soleil Tans, ask our trained staff about which lotion suits you better, according to your tanning needs!